A church based health clinic for the underserved needing medical and dental care. We’re a free clinic that serves people with medical and dental needs who are unable to obtain care because they have no medical or dental insurance and have real difficulty paying for care. Our mission is to show Christ, the Great Healer, to the city of Vancouver, Washington through a church based health clinic for the medically & dentally underserved. Interested in helping at the Clinic? View our volunteer page for details and next steps. Visits to the Clinic are by appointment only. Please call us to schedule an appointment, 360-694-0355. 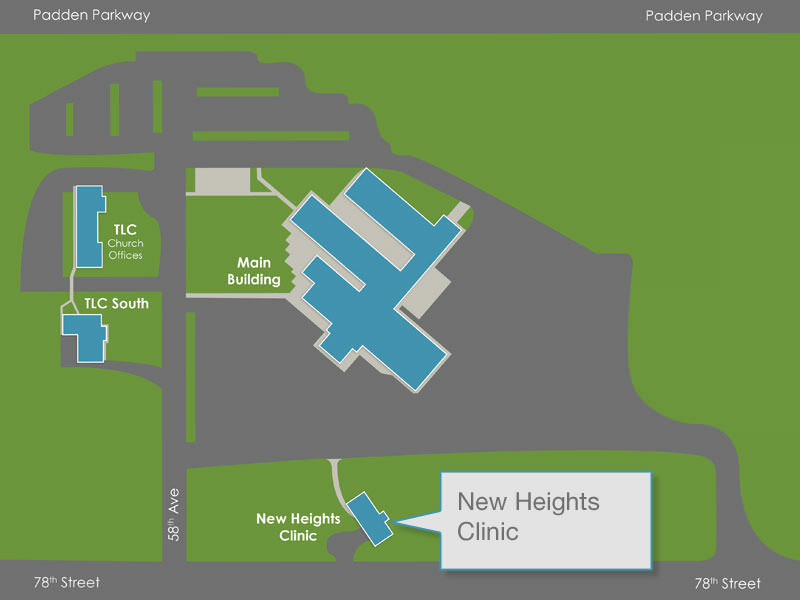 The New Heights Clinic is located on the South side of the New Heights parking lot.